Separations at the click of a mouse in Brazil, TV ads promoting online divorce companies in the UK, and a surge in MP break ups following the expenses scandal… Are divorces becoming commercialized and crassly accepted? Divorce is becoming not only more socially accepted but also increasingly commercialized. Whilst MPs make light and joke about what is a deeply serious and sorrowful affair, “quick”, “convenient” and “cheaper” methods of divorce are becoming available, and not only in the UK. 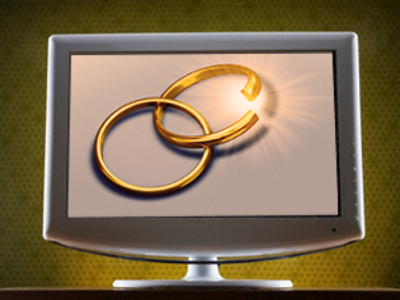 Brazilians will no longer have to go through the anguish and torment of meeting with an ex and arduously trawl through paperwork, as a law that enables couples to end their marriages online was recently announced and is pending approval by the senate. Divorces are the latest legal procedure made possible on the Internet in Brazil, as lawyers recognize the sense in saving the money invested in what usually can be considered grueling processes. The bonuses of Internet divorces are fairly obvious with the saving of money and time being the biggest advantages. 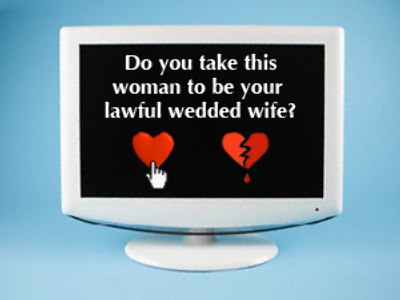 The possibility of not having to confront an estranged spouse is another major attraction of divorcing online. Although separating by a “click of a mouse” has not been without criticism, and for some, its “easiness” will result in more divorces. 31-year-old Tracey from Manchester, whose parents divorced when she was ten, believes services such as online divorces will ultimately result in a rise in marriages ending in divorce. “I know the heartache parents divorcing causes to children and by making them available on the Internet where no physical contact is necessary will definitely lead to a divorce which otherwise may have been resolved”, Tracey said. The recession has also been suggested to be contributing to the decline in divorce rates in Britain. Whilst financial woes have exacerbated problems in relationships, it is because of the sheer cost of a divorce that many couples are choosing to “soldier on” or search for a cheaper method, namely an “Internet divorce”. A study was recently carried out by chartered accountants Grant Thornton, which involved the 70 top legal firms in the UK. The lawyers all agreed that whilst a drop in the value of investments such as house prices is intensifying financial strain within couples, it is also leading to a decreased amount of married couples filing for a divorce. According to The Independent, the average family wealth fought over in divorce cases dropped from £2.85 million in 2007 to £1.5 million in 2009. Hefty court and solicitor fees can put the cost of a divorce well over £1000 in the UK, and with the prospect of avoiding coming face-to-face with a bitter ex, it is of little surprise a niche has been found providing cheaper and more convenient means to terminate a rocky marriage. And with senior Tory MPs unashamedly asking colleagues whether they are getting a divorce, separations with just a few keystrokes look set to soar.